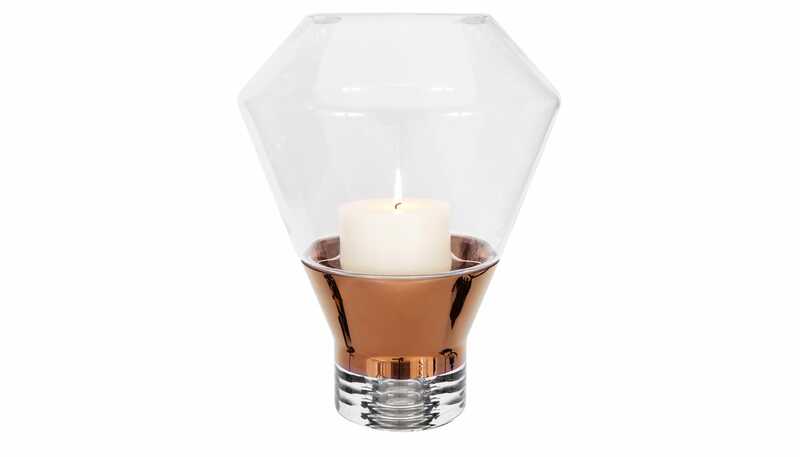 A generously proportioned mouth-blown clear glass candle lantern. Part of a collection including a Tea Light Holder, vases in different shapes, tableware and glassware. Presented in gift-worthy packaging. Do not use abrasive agents as this will damage the surface. Handwash with warm soap water and dry with a soft cloth.